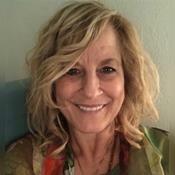 I have been on a spiritual journey for 35 years and 26 years I have lived in Sedona Arizona, giving readings and emotional healings. I meditate on a daily basis which comes into play when I’m working with you. I’m always learning new modalities to bring into my work. When I read I’m very direct and compassionate.. Working with people on their inner journey is a passion for me, I’ll go as deep as I can with you. Looking forward to establishing a connection. Excellent, thank u. Needed to hear what u said. Really good...really able to connect...very compassionate. Thanks. Sorry we were cut off...Great reading. Abbi was able to tap into my POI right away her insight matched my feelings. Looking forward to getting to know my POI and possibly growing into a relationship. I will definitely call back. Abbi Nava has been a user of Keen since 2007. 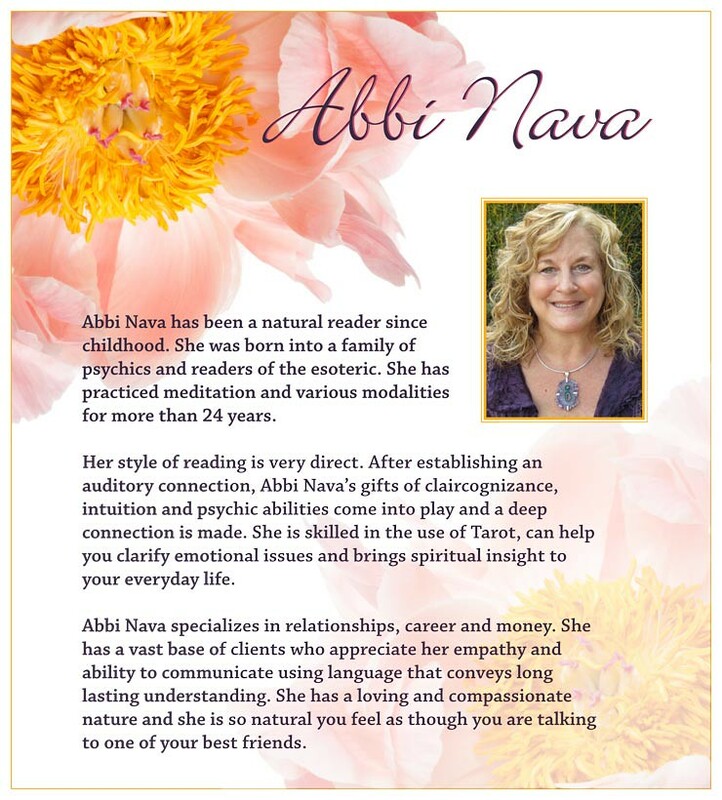 Getting Love & Relationships advice from Abbi Nava through www.keen.com is safe, secure and confidential.